How do you stay organized? I am always trying to multi task and as a consequence, I need an agenda to keep track of what is going on with my ladybug, my husband, and his work, and of course let’s not forget about both my blogs and some classes I am taking along with any family activity that might come along. So, Yes, you can say my days can be very busy and I NEED help to keep everything under control and to know what is going on. So an agenda or planner is a MUST for me and while I do keep a lot of schedules and appointments on my phone, I like the more traditional paper method to work along with my phone and computer. A couple of weeks ago, I was approached by a company named Personal Planner and asked if I would be interested in reviewing one of their personalized planners to which I of course said yes. They provided me with a code that would allow me to create my own designed planner and gave me tons of options to tweak my planner to match my needs. The first thing I had to choose was the product I wanted to design as they offer more than just planners. After choosing to design a planner, I was prompted to choose the size. I went with the A5 which is approximately 16x 21 cm (6.3” x8.3”) and costs $34.95 including shipping and taxes. Once the size was picked, I was prompted to design the cover (back and front). You can add different color backgrounds, or add an image to both, the front and back. You can also add a message to the front cover. 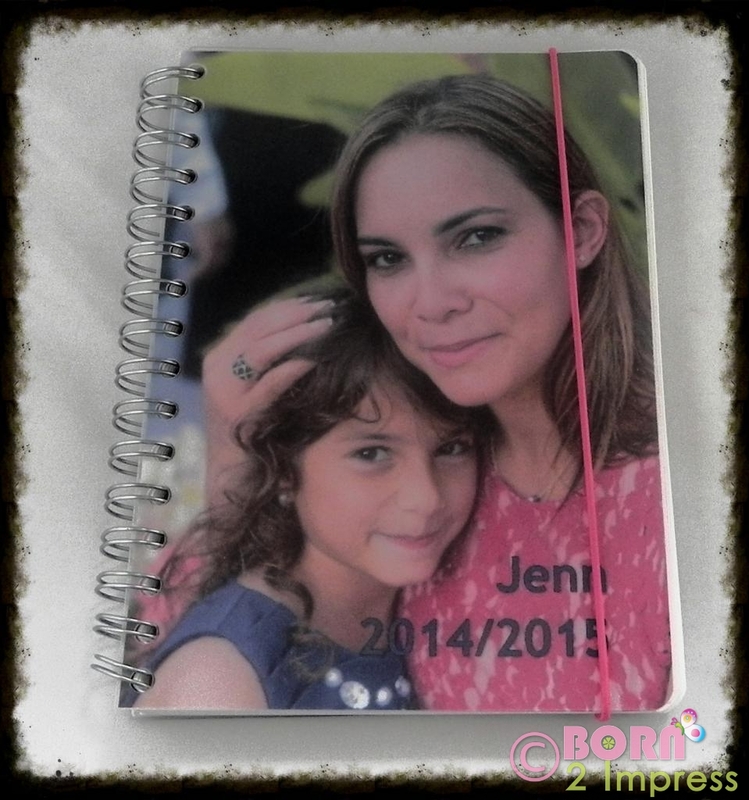 You also have the option to add a personalized theme on the pages , add personal dates (in order to do this, you will have to create an account and profile which will allow you to save the information on the design you are creating which is very handy). You can add this information from different sources like Facebook or enter them manually. You can also choose not to do this. I added birthdays from both Facebook and some others that I added manually. 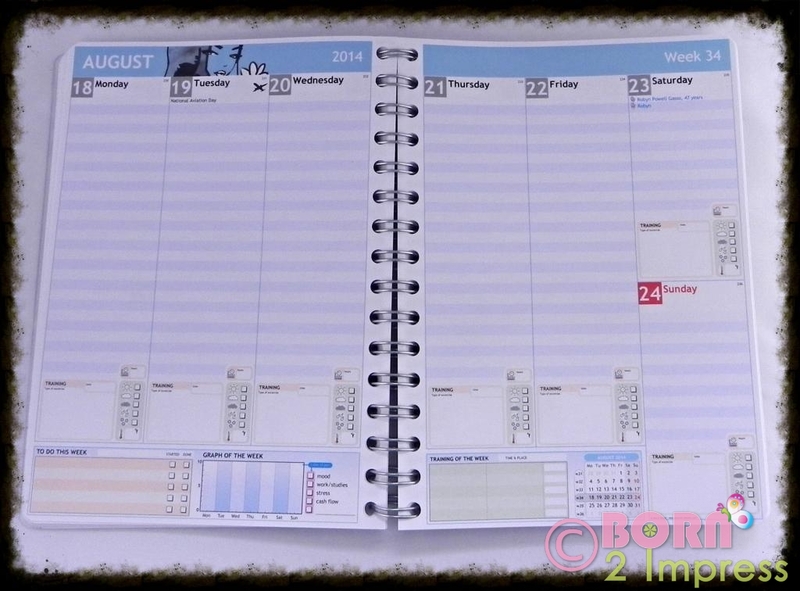 You can add three different modules with different options to make your planner even handier. You then have three different sections that can also be adapted to your needs. After this step, you can add a message of your choice. In my case I added a message and a phone number in case I misplace my planner. There are a couple of things to keep in mind when you are designing your planner. It will start in whichever month you choose ( it takes about 3-4 weeks to receive the final product so you might want to consider that if the year has already started). I designed mine in February and set the start month for March. It is a 12 month calendar. You can save your design and finish it at another time, just make sure all the changes were saved. I received my planner a few days before March started and could not have been happier with the results… Oh, you can also pick the color of the elastic band used to keep the planner closed. The final product is a sharp looking; high quality and super handy planner that will catch people’s attention anywhere you use it! 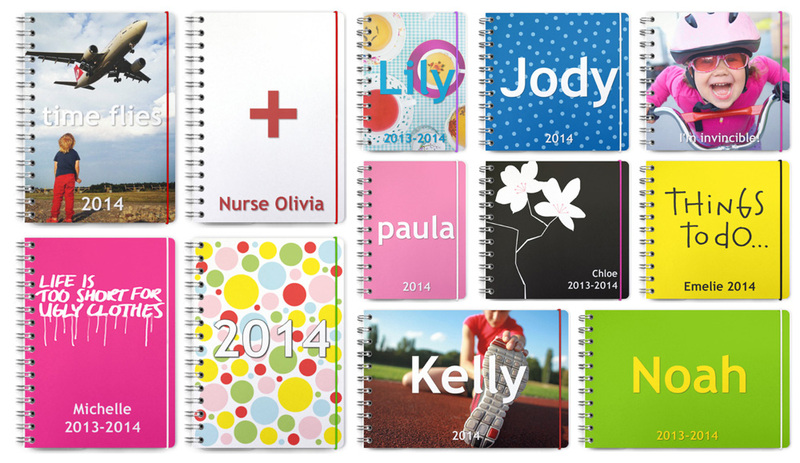 These planners also make a great present for the Holidays, Valentines, Mother’s Day, Father’s Day, Birthdays and any special occasion coming your way! Win it: Personal Planner has kindly offered one lucky Born 2 Impress reader, the chance to win a gift certificate to make your own personalized planner! Please use the Giveaway Tools form for ALL entries. Except for the initial comment. Please leave comments containing 3 – 4 sentences in order to qualify- Comments like I like this or I want to win will not count! Contest open WORLDWIDE to residents with a valid street address. No PO Boxes please. Winner(s) are selected randomly through the use Giveaway Tools unless otherwise noted and will be announce on the contest closing date. To claim your prize(s), you must contact Born 2 Impress within 48 hours of the contest closing Prize(s) not claimed by (48 hours) will be forfeited and a new winner will be selected. « On Tax Day, April 15, Dairy Queen is giving away signature Waffle Cone Holders along with a $10 DQ gift card to 100 lucky Blizzard Fan Club members! I love the polka dot 2 tone blue design, and I’d love to have it personalized with my name/year. As far as size goes, a medium or large would be excellent. I really need to get more organized and this would be a great way to remember important dates throughout the year. I really need a personal planner designed around my need to help me get and keep my life organized. I like the wall planner because I currently am very disorganized and write things down on scraps of paper. There has to be a better method for me….my own just is not working. I like the “Top Secret” them because I am kind of private about my things. Well, not really private, but I’d like to be. This would be a good place to start, plus it would help me get organized! I usually write my “to-do” things on scraps of paper which find their way to the bottom of my purse and disappear forever! I like the notebook planners. This would be an awesome thing to have! It would not not help me get organized because I already AM organized…call it OCD, lol! But it would definitely help me STAY organized. And its cute! I like the small red polka dot design. It’s classic and fun at the same time. I could use a new planner to keep track of my homework. I really would love the create your own Large Planner. I named it after my blog. Winning this would be very convenient for my needs. I run a fashion blog and without a planner it is simply not possible to do all the work you need to do. You get ideas on the fly, and if they are not written are lost sometimes forever :)(It happens). And I want to use the classic-written on paper way. I do use improvised planner right now to do all my work, and to have this personalized planner just for the blog would be a dream. It is always a challenge for me to get – and stay – organized. Right now I have 3 little piles of papers on my desk and several notes next to the phone. I think a planner like this, which has designated sections for important appointments & specific areas for “to do” lists would definitely help me to be not so stressed all the time. It was really fun”creating” my own planner. I chose the “large size” in muted green with ruled pages & to-do lists on the bottom of each page. Oh, and a fleur-de-lis pattern at the top. I would choose the wall planner. I am in grad school so I have clients, class, and assignments to balance. Having a calendar/planner on my wall would help me stay organize and remember everything. Since it’s on the wall I can’t lose it. I love the wall planner. I find something that is on the wall gets looked at often so that helps! I think I like the yellow smiley face the most because it reminds me of happy times and would cheer me up every time I looked at it or used it. I would use it to keep my schedule for work and appointments or for any other important dates that I may need to remember. I would get a medium planner with a designer cover, It would be a big help instead of scribbling things on scraps of paper! lol, and then misplacing them! I like the personal notebook option. I’d choose a green cover with my name on it. 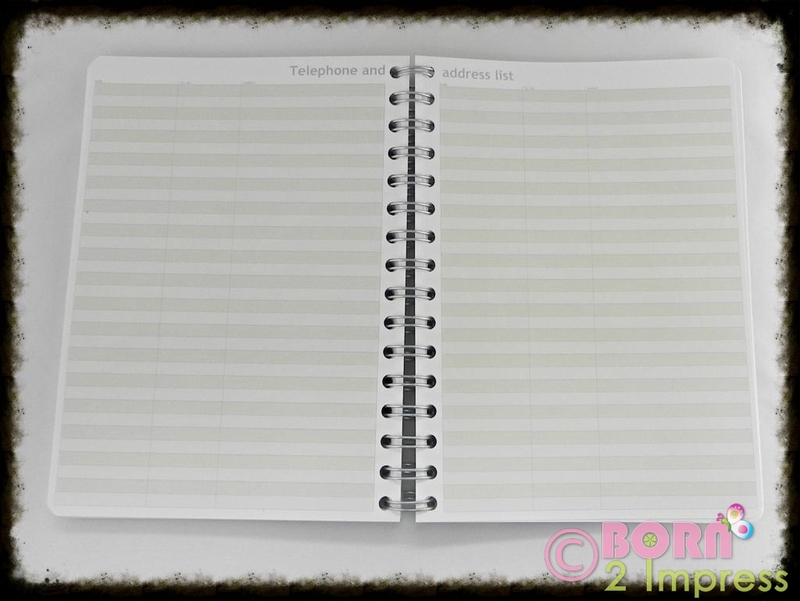 It would make a great place to keep shopping lists and to-do lists. I always feel more organized when I have one central place to keep my lists and jot my notes. I really like the Large planner. I need one to help me get organized. I would like my name on it and in purple. I would choose a large planner in a blue color! I have ocd and organization and cleaning is one of those things that i have to do and keep done! This would really help keep things straightened out. I have a bad habit of jotting something down and then loosing it, this would definitely prevent that from happening! I like that it has an overview of 2014 (or whatever the current year is) and that it’s very personal. I love that this planner is so personalized. I like certain things to be in a planner and I like it organized my way. It’s so hard for me to find one I like that I usually have to go searching about 2 months before I need it. I work in a school, so I prefer school year style planners. the medium sized planner with the cover from 2009-2010 by graphic designer, Isabelle Norman Sallstrom caught my eye. It’s birch trees in stark black & white. The boldness of the cover makes it stand out, so maybe it won’t get lost in my purse. i need any help i can get to be more organized. just recently i missed out on an appointment because i was relying on the reminder call that for some reason never came. this is why i need this planner. i would put all my appointments and important numbers. 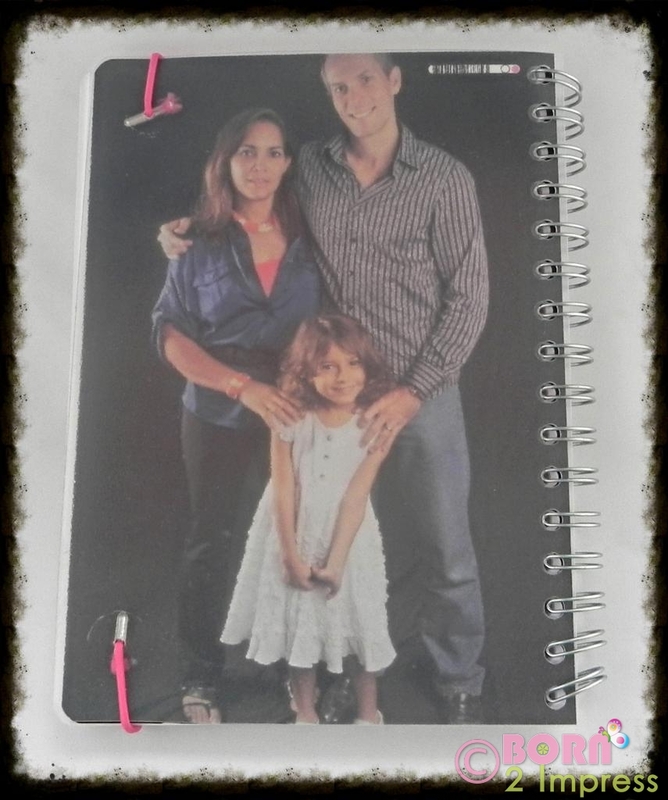 i like the create your own planner so i could add a picture of my kids. I like the notebook. My daughter loves to write down her dreams. She shares them with me on occasion. It would be nice to get her a personalized one. I love the large planner. It would really help me stay organized. I currently do not have one! I like the large planner! !